When I got my first pair of kittens my first decision was whether they would be indoor versus outdoor cats. Initially, I was going to give my cats free rein access to the outdoors. However, as we lived on a busy road with heavy traffic I revised that idea very quickly. At that time a friend had recently had their cat killed in a road traffic accident. Looking at the statistics for how many cats that were killed on the roads each year was scary reading. Over a quarter of a million cats die on the roads in the UK each year and the figure is over 6 million in the US. These are also conservative estimates as traffic accidents concerning cats are not reported. In many cases a cat is left to die on the side of the road. So there I am with a pair of young kittens, eight weeks of age; small bundles of fluff and I look at them and then look at the traffic and my thought is that when it’s a cat versus a car – the car is always going to win. Traffic on the roads is also now increasing, our roads are getting busier and busier and people live more and more near to busy roads. Also a number of people live in apartments where there are no easy routes outside for a cat. So what are the other factors for having an indoor versus outdoor cats? Whilst your cat has great hunting instincts and will have sharp teeth and claws, they are still susceptible to being hunted themselves. Cats can become the victim to dogs, foxes, coyotes and other wild animals. Injuries from being attacked by these animals can often prove fatal. Human predators are also an issue, cats have been poisoned, shot at with air guns (and other guns), attacked and even stolen (especially if you have a pedigree cat). The human factor can also be accidental – for example, accidentally locking a cat in a garage or shed. How many times have we seen flyers placed up around the neighbourhood with pictures of a missing cat? This can be linked also to the human factor. Cats can accidentally ingest toxins such as antifreeze (it has a sweet pleasant taste) and even rat poison – either by picking up pellets themselves or catching and eating a poisoned rat. 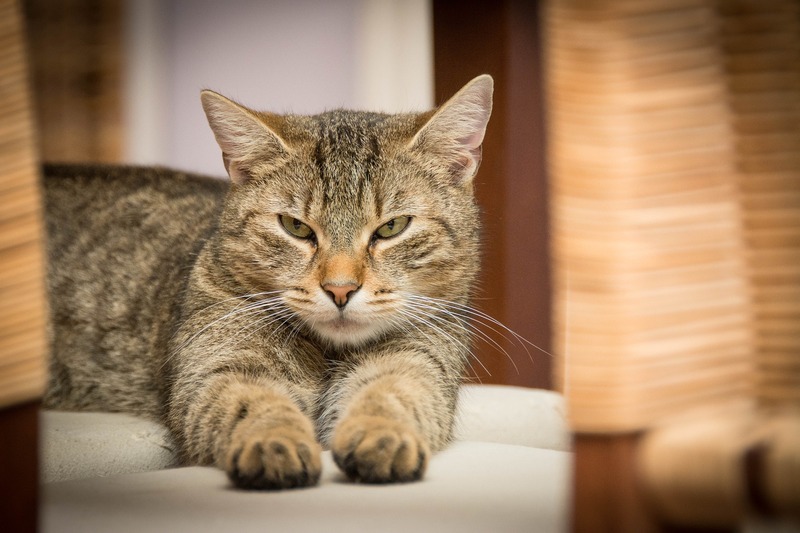 There is also more chance of your cat having fleas and ticks as well as picking up intestinal worms and also ringworm (which is a fungal infection). Some cats are naturally quiet and shy and can also be prone to being bullied by more aggressive neighbourhood cats. The other side of the coin is that other animals can be harmed by your cat. It is not just your cat that can be harmed by being outdoors. As cats are hunters they are inclined to hunt and kill birds, small rodents and other wild animals. In some areas of Hawaii, New Zealand and Australia the introduction of cats by migrants caused irreparable damage to the ecosystem with a number of bird species being hunted to extinction. So what are the Reasons for having an Outdoor cat. Well outdoor cats get more opportunity for exercise and for honing their prey hunting skills. Indoor cats can sometimes become obese as they do a lot less running and jumping than an outdoor cat. Outdoor cats also become less bored and from this less stressed as they are able to indulge in their natural curiosity. So how do we keep indoor cats healthy and happy? First up keeping cats entertained is a top priority. Bored cats can become depressed. Therefore, playing with your cat is great to help this and it creates a great bond between owner and cat. In a previous post we listed some of the toys that you could purchase to help keep your cat entertained. These include balls, fishing rods, cat videos etc. 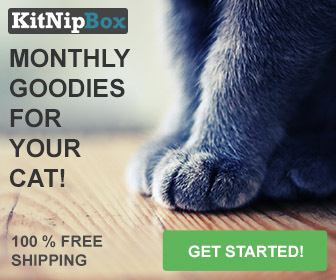 Click here to read http://coolstuffforcats.com/entertaining-indoor-cats. 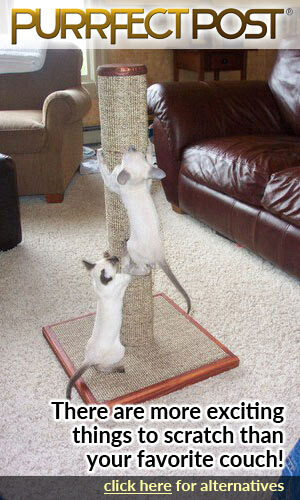 Cats love to climb and they often like to sleep high up from the ground. A cat tree or activity centre will give them the chance to do this – you can buy a variety of these in different shapes and sizes and we do review these regularly. A cat needs to indulge in its natural instinct to scratch and seagrass, sisal and wooden scratching posts are excellent to help them achieve this. You can make your own but shop bought ones are not very expensive. 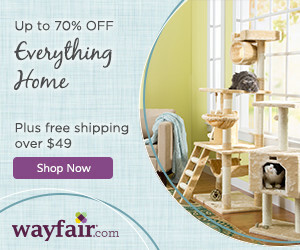 If you want to read more about cat trees and scratching posts then read more here where I list some of my current favorites. What about taking your cat for a walk? Some cats get used to going outside on a leash but not every cat will enjoy this. If you want to take your cat for a walk then buy a good quality harness and take them somewhere safe where there is less chance to encounter dogs. And if you want to let your cat have some use of the garden then you could try out a catio or cat enclosure. These are enclosed areas for your cat which will contain perches and shelving and keep them safe. They can come in any size and can be accessible via a window or cat flap in a door. Further you can buy catios ready made or even plans to build your own. 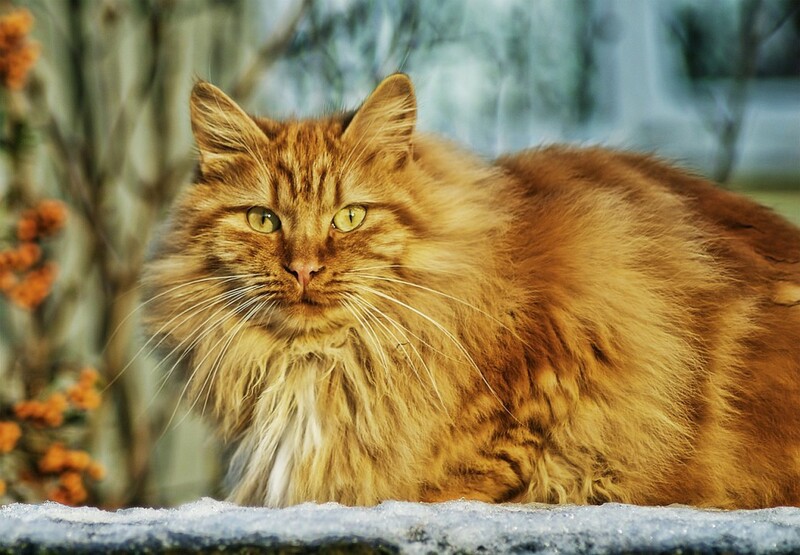 Overall the reasons for keeping an indoor or outdoor cat are subjective. 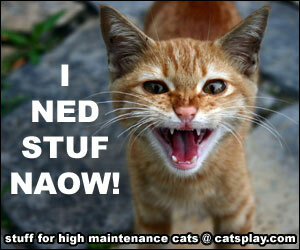 If you have a large garden and are away from busy roads then having an outdoor cat may be for you. 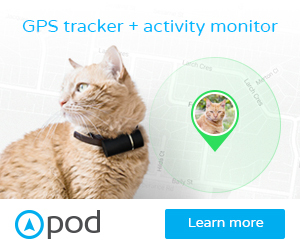 If you live on a busy road then you might feel best about keeping your cat indoors. Some people, though do give their cat access to the garden only. This is accomplished by high fences around this safe zone. This cat than then have the best of both worlds and will not stray. The health and well being of your cat though should always come first in your decision. Personally all my cats have been indoor cats. My previous cats have usually lived between 15-20 years of age. Sadly a nasal tumor took the cat which was 15. Two of those cats had been feral rescues. However, due to health concerns they were kept indoors for their health. They never called to go out and were happy to spend their days indoors playing. This post really resonated with me. My first cat was, sadly, killed by traffic on a busy nearby road. So I went for house cats next – 3 fabulous Russian Blues that I adored but they soon made it clear that they wanted to go outdoors. As we were living in the country, we decided they would be safe. The result? One went mssiing (we think catnapped by local gypsies because she was so gorgeous) and the large male was mauled by a fox and then run over (or vice versa). He did survive and after an external fixator on a broken leg, managed a reasonable quality of life. When they passed on, we went for a moggy who is happy in or out of doors but not very friendly and can’t be bothered with cuddles. Which breed do you think is the most friendly and makes the best lap cat? I’m already planning ahead! That is the problem with pedigree cats such as Russian Blues – someone will try and steal them. I am sorry that you lost a few of your cats. My current pedigree is a ragdoll and they are very much a lap cat (it flops everywhere), plus they speak to you a lot and because they are very trusting they are definately an indoor cat. What a great post about the merits of keeping your cat outdoors or indoors. I am a dog person myself but you would think that we own quite a few cats as most of them from the neighbourhood seem to use our garden at night as the local latrine. If I did have a cat, I think I would keep it in at night and let it roam during the day. I have three cats and all of them are indoor. They go out to the garage but that’s about it. I too live by a pretty busy road and just don’t want to risk it. There is one that I will let out sometimes as he’s always trying to run out. I stay outside though to keep an eye on him. Indoors, I try to keep a good amount of toy mice and fishing rod style toys to keep them entertained. This is a very interesting and complete discussion about the decision of keeping your cats inside the house or not. I totally agree, a nearby road is like a condemnation for an early death. When you enter into a loving relationship with your cat you certainly don’t want to see it squeezed by car tyres. My cats are half outside, half inside, I live far away from cars. But for a long time the danger for them to be poisoned by hunters was huge. 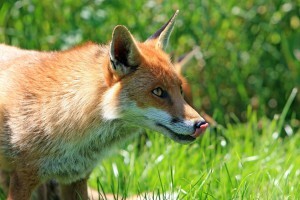 They who actually want to poison the foxes, but get all other animals instead. I lost 3 dogs and about 20 cats by poisoning in the first years I came here. After reporting the illegal use of poison in the woods it is ok now. Anyways, for the cats life it is better to be able to go outside and live their own cat-nature, but for the relationship we have with them, it is better they stay in. And even those who go out would need a cat tree inside, would be better than our sofa! Thanks for your comment. I have always kept my cats indoors so rather biased towards indoor cats only. With my cats being Ragdolls as well they are more inclined to be indoor cats (or supervised access to a garden). If I ever moved back to a house with a garden then I would probably try and get a catio built so they could get the best of both worlds and still remain safe whilst outside. So sorry to hear that you lost a few kitties and dogs.